We require a week's notice for any cancellation or amendment to a booking. If you stay at the Kif-Kif you will experience the essence of Moroccan culture over its four floors. Enjoy tea and shisha in our traditional Moroccan tangerine courtyard - classic and calm; wind your way up the staircase to find a first floor hippy vibe - fun, lively and full of music; our top floor is dedicated to Berber culture and style. Kif-Kif provides comfortable dorm accommodation for happy, positive backpackers looking to connect, learn and enjoy the diversity of Morocco beyond the usual tourist paths. So take the road less travelled by and have an adventure before you even leave the door. Amin and mohammed are the best hosts. They Made me feel at home! The hostel is very clean, the position amazing and close to the main attraction. The zone is really safe. I definitly recommend to every one! Thanks amin and mohammed! Very kind guy at the reception. I have only spent one night and cannot complain about anything. I stayed 5 days in Kif Kif hostel and I really enjoyed my time there! The staff was really nice, breakfast is good and the place is cool, near to Jamaa el fna, not easy to find in the begin but after the way is easy to remember. Perfect hostel for travellers, reeeeally cheap and the service is good. I will come back for sure! very kind people, cool atmosphere and staff very nice and professional! Great hostel, great staff and nice atmosphere. 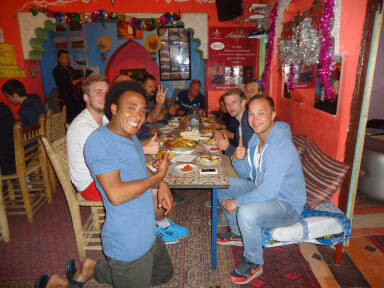 Ashraf and Andy are really nice guys, definitely a hostel to recommend!! We already stayed earlier in our trip and came back to it :) we absolutely love it!! After our long stay in Morocco, felt so safe going back to what we knew was good to us. Would recommend to anyone any time! Amazing location hidden down a quiet street right next to Jemaa el Fna square. 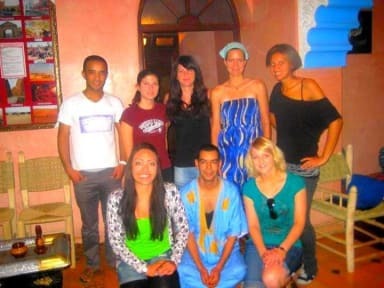 This place is the best value for money hostel we have found in Morocco. Only downside is that there wasnt a toilet on every level and that many of the seats were broken. However, it was nice and shows a lot of potential with an unused terrace and prime location. Would come again.